Our quest to play baseball in every state has taken a very positive turn this spring. We added North Carolina, South Carolina, Georgia, and Florida to our list of states in which we’ve played during our Spring Training trip and now we have added Delaware as well. This past week, Al and I got out to the Lewes Little League field, a nice complex and probably the most valuable on which we’ve played. Well, given the fact that it’s right on the water, the fields are probably worth $15-$30 million if you tore them out and built townhouses. Checking Delaware off the list means that we have played in every state from Maryland to Florida except for West Virginia. Don’t ask me how we’re missing Maryland’s Wild and Wonderful Neighbor; especially since we can see it from my house, but that’s something we’ll rectify soon. In the meantime, please visit the Places We Have Played Album by clicking here or on the link to the right and down. I’ve uploaded some previously unpublished photos of the ballparks in which we played during our Florida trip. 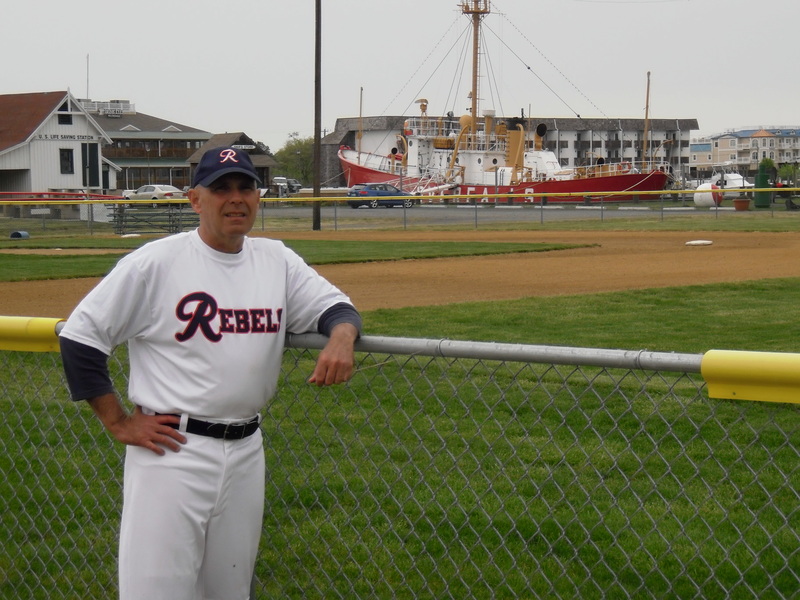 This entry was posted in Baseball in General and tagged Lewes DE, Little League fields, places to play baseball. Bookmark the permalink. Glad that you and Al had a good time while visiting his mom, and getting to play at yet another ball park. Know you will be starting to get busy in June & July with your Rebels Broadcasts, but here are some possible options for future Keys games: Friday, June 15th or Sunday, June 17th. Monday, July 2nd or Tuesday July 3rd. Saturday, July 28th. Tuesday, August 7th or Thursday, August, 23rd. Saturday, September 1st, Sunday, September 2nd, or Monday September 3rd. Let me know if any of these dates work for you. In the meantime, I am still enjoying the book, as well as the memories from the Keys game. Say hi to Martha for me & hope to see you soon. I’ll check those dates and get back to you! Thanks as always for visiting. I read 2 book to get me through the winter. This years was Harvard Boys and Summer in the Valley. I plan on making a pilgrimage to the valley league for a few games this summer and cant wait. You wrote a wonderful book! Thanks, Jason! If you come to New Market, please look me up, so that I can say thanks in person.